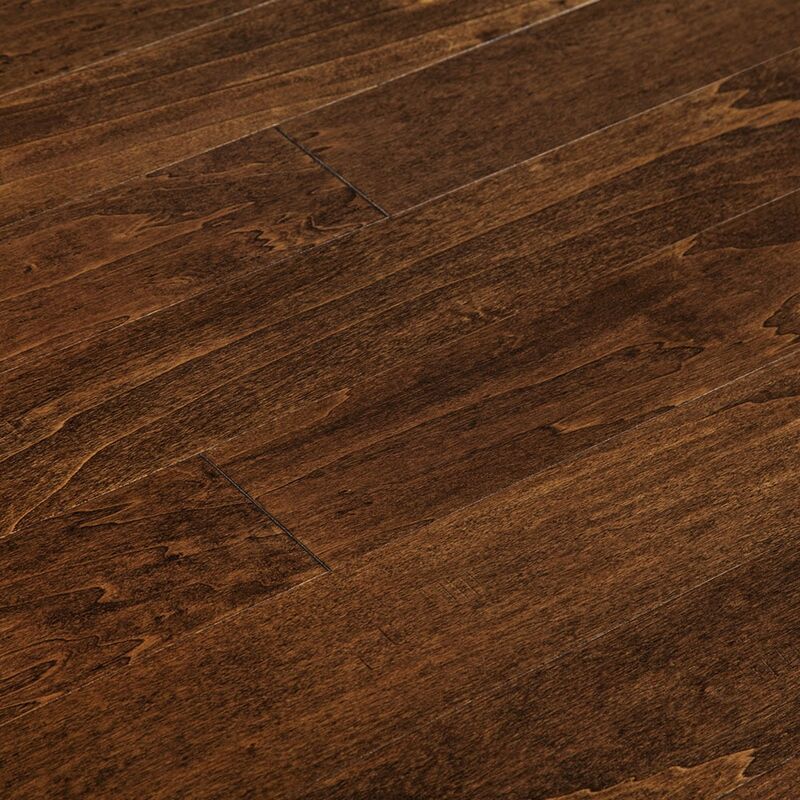 Real birch wood: this wood offers typically straight and even grain patterns that run throughout most of the board, with some slight waves that add visual interest. The rich golden-brown stain further enhances the birch wood’s natural beauty. Was so excited to find this floor! We started replacing our floors a few years ago and already have about half complete...other things happened and we delayed getting the floor ran throughout the house and didn't think it would be an issue in just getting the same flooring...until we are ready to do it. I had samples shipped from 5-6 different flooring companies with no success in a match...until BuildDirect. This floor is a PERFECT match. I was so excited to find it because otherwise it was going to be easily $10K+ to replace all the floors to match...and in a close color match to what I already have! So knew I was getting this floor but since I had a large project ahead of starting to replace decided to wait...was hoping for a sale since it was quite a large amount for shipping...the warehouse that had it in stock was in BC...but it was time to finally order and so glad I waited because not only had it been stocked to a close warehouse...they also had a special shipping rate...saved over $500 on shipping!! And then the actual shipping...ordered one day...it shipped the next(Friday) and delivered on Monday! Unbelievable experience from start to finish and will definitely be a return customer as we're renovating our entire house...DIY. This is my third experience with a build direct product and it's the third time I've been completely satisfied with the product. It was incredibly easy to install. Had no problems with defects. Looks beautiful. Looks like it cost a lot more than it did. This isn't a fantastic product! I have told everyone to buy it. It is the best looking floor that I have ever seen. It has a lot of character. It is extremely easy to lay. The boards are precut to different sizes. The only thing that BuildDirect doesn't do for you is lay it. It is very easy and my brother and I would know since we laid 1700 sq ft and I will soon be ordering another 400 feet to finish the entire house. I wasn't going to do 2 rooms in my house because they looked perfect already but after seeing this flooring they both look terrible. I've decided to do it all! I ordered from BuildDirect for the first time ever and picked it up at a Fed Ex drop off station to save money on delivery. It was 65 eight foot long boxes so I was sure that some of them would be damaged but other than a few minor imperfections which we saved to be the cut off parts, they were perfect. 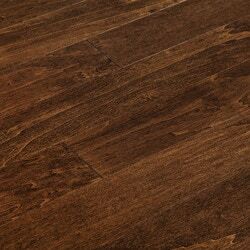 Even my brother who is skeptical about everything and never says anything goo about anything says that it is the best looking and easiest wood flooring that he has ever seen, too. We love it and Build Direct and you will, too. Product arrived in a timely manner. Looked as expected. Installation was very simple. Finished product looks great. Only negative is that product does scratch and dent very easily, but overall I am pleased with this purchase.